Hans Remembers- 50 years ago today- March 20, 1969. In NCAA men’s basketball Final Four play at Kingdom Hall in Louisville, Kentucky- the semi-finals- Purdue had no problem with North Carolina defeating them by the score of 92-65. Purdue was led by their All-American sharpshooter- Rick Mount who led all scorers with 36 points. 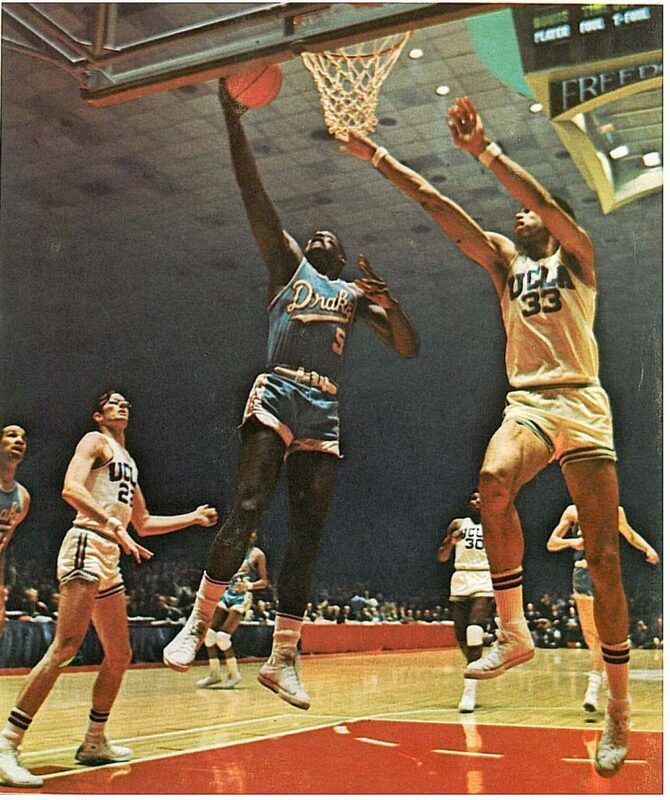 In the other semi-finals game undefeated UCLA nudged past Drake 85-82- John Valley had 29 points and Lew Alcindor the great All-American had 25. For Drake Willie McCarter had 24. In the finals on Saturday March 22nd it would be UCLA going for their 3rd title in a row and 5th in 6 years against Purdue. UCLA Bruin Head Coach John Wooden had been an All-American as a player back in the day at- Purdue. Another plane crash was in the news- the crash of a United Arab Airlines flight at Aswan airport in Egypt killed 93 of the 98 passengers on board and all seven crew members. The majority of the passengers had been returning from the Muslim pilgrimage to Mecca. As the plane attempted to land in a sandstorm one of the planes wings scraped the ground and the plane exploded and burned. Basketball. Did not really make it over the pond. There seemed no point as the Harlem Globetrotters always won in the end. If you were one of the 5 that survived, if you didn’t believe in God before, you would be one that did now.